With crampons, there is usually a belief that more points are better, so you have this never-ended arms race between manufacturers with 12 point or 14 point crampons with aggressive spikes. The Edelrid 6 point crampons turn this on its head. 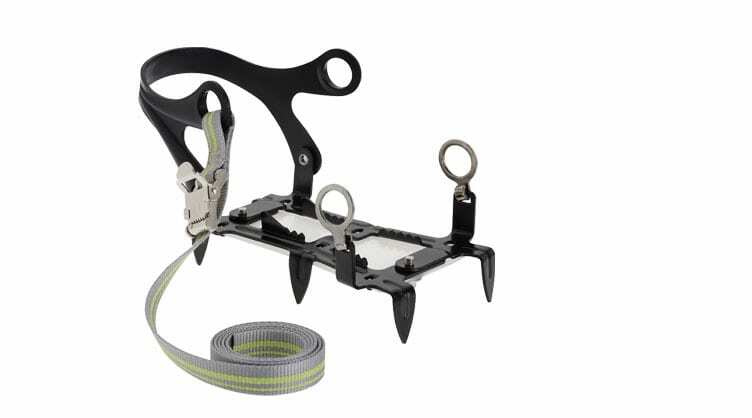 This is not a crampon for aggressive ice climbing, but instead is a very small and light half-crampon for a bit of extra safety and support when a full-crampon isn’t needed. The thing with these is that they are really light, just under 500 grams for a pair (compared with 1kg for a pair of its big brother 14 point Samba crampon from the same manufacturer). The other great thing is that they are really versatile. Because they don’t run the full length of your boot, you don’t have to worry about them popping off if used with a boot that doesn’t bind properly or that flexes. This means you can use them with just about any sort of boot or even shoe. That makes them great for times when you really don’t want to boot up fully with full-shank winter boots, but might be a little worried about having to cross some ice. 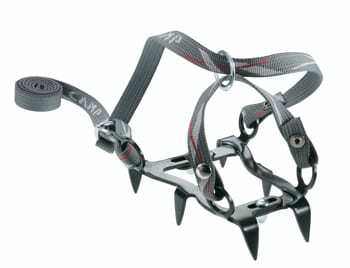 These aren’t the only 6-point crampons out there. Stubai makes one as does Trango. Camp USA also has a very light steel model (396 g) that go right on the underfoot (not on the heel) Just remember that these aren’t up to the same task as full length 10, 12 or 14 pointers. No trying to go up an frozen waterfall in these. Once adjusted and fitted, the feel surprisingly ‘walkable in’ – as the missing front and back sections mirror the rolling action of the boot. They aren’t suitable for technical ground, but they might just be a good backup plan this winter.